The Senior Club Professional Advanced Adult Day Care Center is helpful for seniors and their loved ones. Many seniors who live at home (or with a loved one) would benefit from a regular schedule of daily activities, programming, and social interaction. The Senior Club Professional Advanced Adult Day Care also benefits their caregivers. 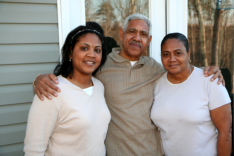 Did you know that one in four people is a caregiver for a family member or loved one? While care giving is one of the most loving and giving acts, it can be an overwhelming experience. It involves balancing senior care, jobs, families, household duties, and a personal life. On-site, participants at The Senior Club Professional Advanced Adult Day Care will have access to a Registered Nurse or a Physician to visits our facility from time to time. They offer consultation services and conduct health assessments on the participants upon request. Who is an Ideal Candidate for Adult Day Care? When your loved one isn’t able to care for her/him self or to perform routine daily activities, they may need to be considered for an adult day care. However, getting help with daily tasks is just one reason why many seniors and their families choose for adult day services care program.